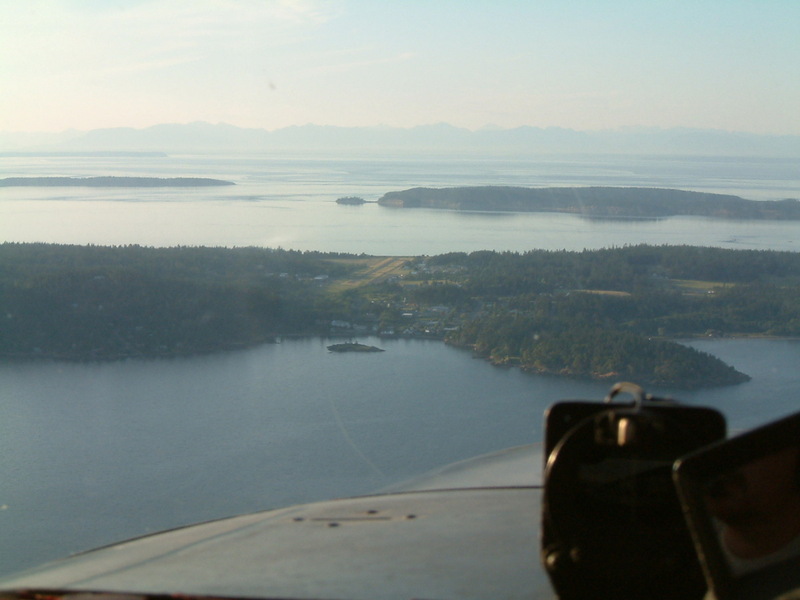 Soon after getting my license I flew up to Bellingham, picked up Andrew, flew around the San Juans a little, dropped him off, then returned to Boeing. 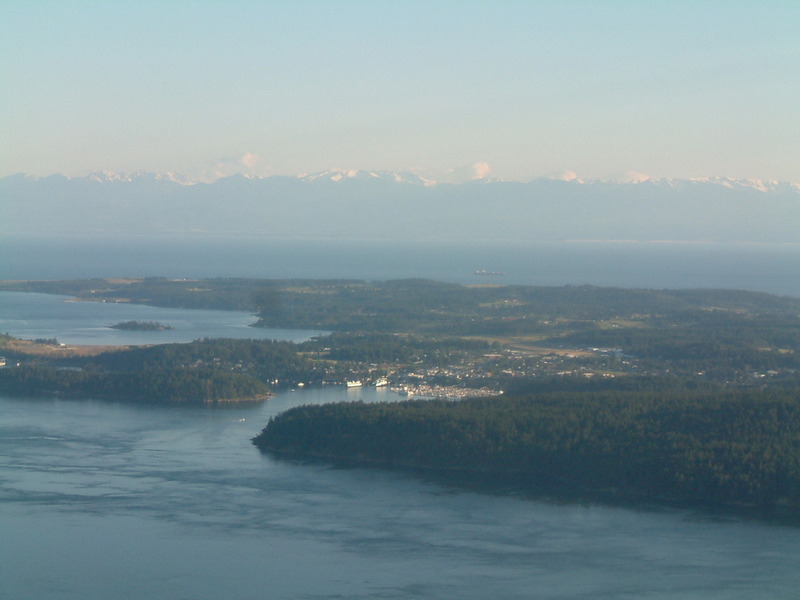 East Sound from the south, Sucia in the background. 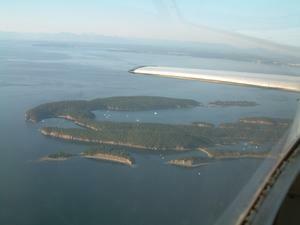 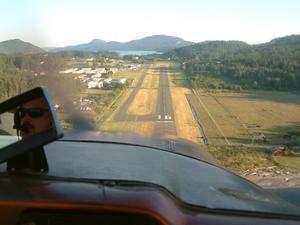 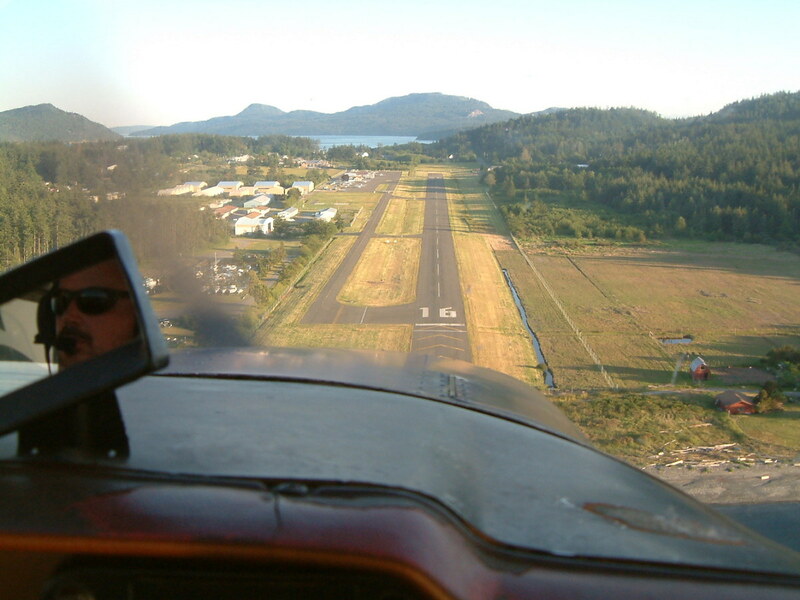 Final approach to East Sound, landing to the south.